Exposed fastener systems are a great metal roof to protect your building. Slightly more economical than a non-exposed panel, it still provides great protection for many years. These panels come in many different corrugated patterns like Delta Rib, 5V Crimp, and 4 High. A variety of colors are available to help complement your home’s exterior. 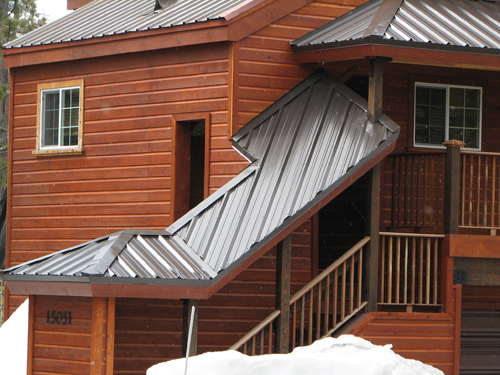 Mills Roofing Inc. is a leader in metal roofing in the Truckee, Tahoe areas. We Specialize in Metal Roofing.